[Technology] These people are real? The truth is… wait for for it… both images are AI-generated fakes, products of American GPU producer NVIDIA’s new work with generative adversarial networks (GANs). 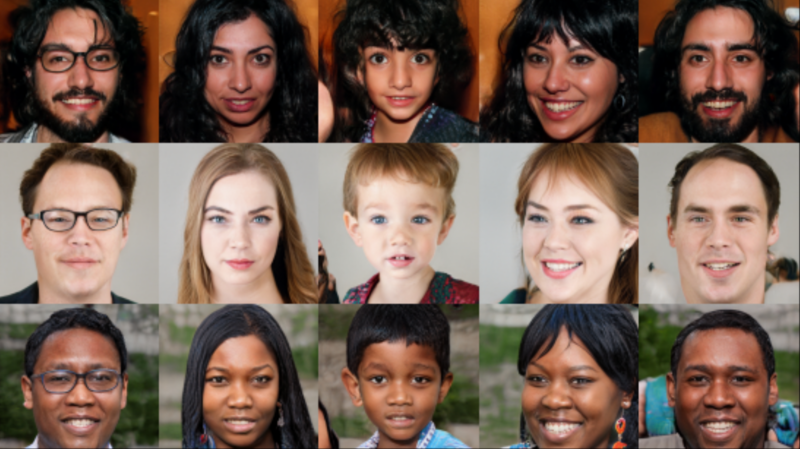 The research was published today in the paper A Style-Based Generator Architecture for Generative Adversarial Networks, which proposes a new generator architecture that has achieved state-of-the-art performance in face generation. Since GANs were introduced in 2014 by Google Researcher Ian Goodfellow, the tech has been widely adopted in image generation and transfer. After some early wiry failures, GANs have made huge breakthroughs and can now produce highly convincing fake images of animals, landscapes, human faces, etc. Researchers know what GANs can do, however a lack of transparency in their inner workings means GAN improvement is still achieved mainly through trial-and-error. This allows only limited control over the synthesized images. However, if you quote I would like to ask you to make that clear by using the Quote function and before or after give the source - as you did - and mark it as such e.g. by writing "Source:").